The company appointed a dedicated Marketing and Communications Officer to focus on social media. They now have a presence on Twitter, Facebook, Instagram and LinkedIn and use these channels to promote and enhance the image of construction. Social media allows the company to develop direct, two-way communication with the community. Weekly video updates are produced and Facebook and Twitter posts are scheduled ahead of time. After talking to residents near their main site, the company researched local history and produced content based on this to share with the public, including an informative video. 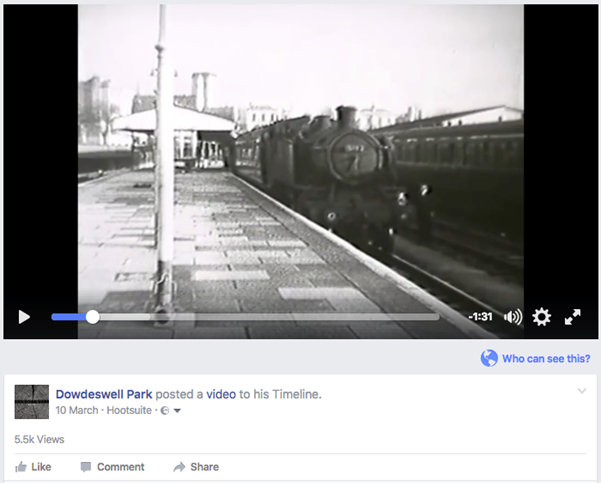 The film, showing old footage of the area, received over 5,500 views on Facebook. The company seized on this community interest and planned community meet and greets and developed a programme of guided site visits with local schools, educational organisations and businesses. Communication with the community is vital to keeping residents updated, which improves the appearance of construction by making the industry seem more approachable. The local history angle to this project also showcased how new developments can be an evolution of the landscape rather than an intrusive detraction. Follow the links to view the company’s Twitter and Instagram pages. Company office Monitor report. Dowdeswell Estates Building Contractors. March 2017.